What's inside The Blackpool Tower Dungeon? 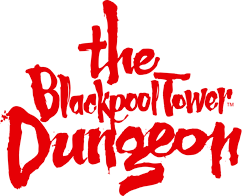 What is The Blackpool Tower Dungeon? What is included in my entry ticket at The Blackpool Tower Dungeon? Is The Blackpool Tower Dungeon a museum? Are there live actors at The Blackpool Tower Dungeon? Is The Blackpool Tower Dungeon scary? I'm claustrophic, is the Blackpool Tower Dungeon suitable? When is the quietest time to visit The Blackpool Tower Dungeon? What is the Rat Cafe? The Blackpool Tower Dungeon has some very furry employees… and we don’t mean Dave from the ticket desk. We will be running our very own RAT CAFÉ in our Red Lion pub every weekend until the end of June! That’s right… never mind those cat café’s or dog parks, all the young cool people want Rats! This, most misunderstood of rodents, is actually a cuddly, friendly wee squeaker who just wants some love. Come along and enjoy live music, good beer (slash none alcohol alternative) and cuddly creatures. We don't have any dates yet but keep checking back. The North of England Rat Society bring along their very loved friends for some extra cuddles and to spread the word, Rats are cool! Entry into the Rat Cafe is included in your entry ticket! How much are tickets for the Blackpool Tower Dungeon?